Edit MPEG4 videos with built-in video editor. Customize DVD menu with templates and image/music/thumbnail/etc. Burn MPEG4 to DVD/ISO/DVD Folder with super fast speed and high-quality output. Toolbox with functions of Video Editor/Slideshow Maker/DVD to DVD/DVD to Video/One-click Burning. 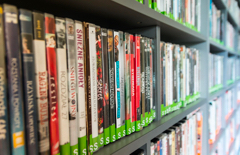 "How do I convert MPEG4 files to DVD files?" With the question beginning, many people ask it on Quora for a solution. As the different formats of videos, your MPEG4 videos always can't be playable on your computer or TV which usually required .mp4 format. An easy and quick way to solve this is that convert MPEG4 videos to DVD via DVD burning software such as Wondershare DVD Creator and then play it on TV or save it just as backup. Here we'll learn how to convert MPEG4 to DVD step by step. 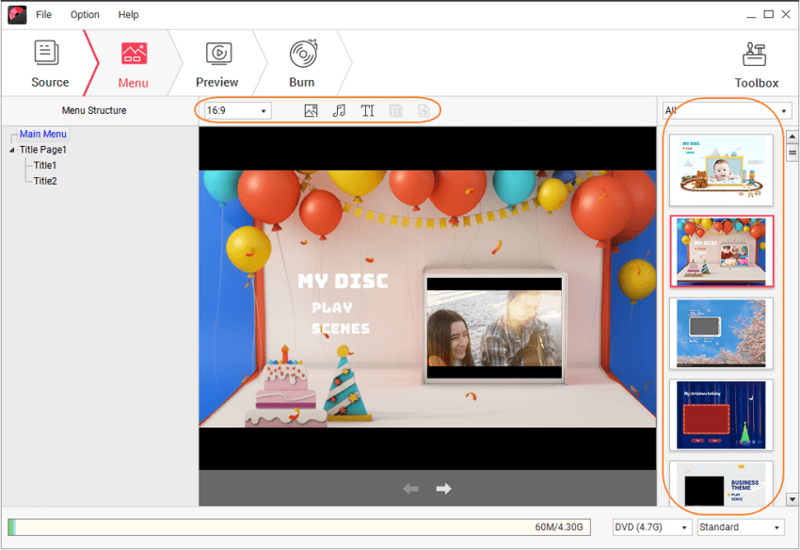 Wondershare DVD Creator makes it fast and easy to burn a professional-looking DVD disc from your MPEG4 files. You just select a cool DVD menu template (dozens of templates provided) to customize your own DVD menu, and (optional) use its handy video editing tools to personalize your videos. Also, you can add background music, picture, and so on. It also allows you to save your files as ISO files or DVD Folder, and the whole process is just several simple steps. · Convert MPEG4/MPEG/MPG file to DVD/Blu-ray Disc/ISO File/DVD Folder with fast speed and high-quality output. 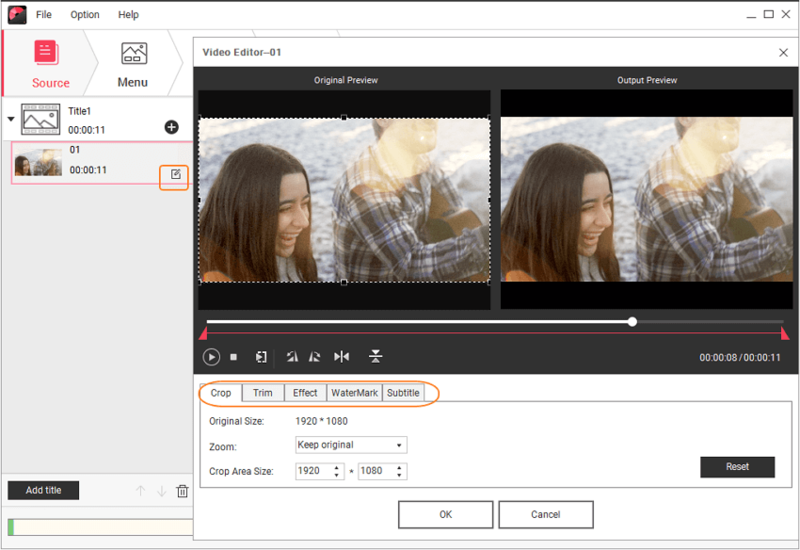 · Edit MPEG4 videos with built-in editor to crop/trim/rotate videos, add subtitle, apply effects, and others. · Customize DVD menu with 100+ template design from Movie, Family Life, to Travel theme. · Make MPEG4 DVD menu more attractive by parameters such as background image, music, text, etc. Step 1 Launch Wondershare MPEG4 to DVD burner. Download, install and launch Wondershare DVD Creator from above links. On the initial interface, choose Create a DVD Video Disc option to begin with. Step 2 Add MPEG4 videos to DVD Creator. Click the " + " icon to add MPEG4 videos present on your computer. Directly drag and drop the MPEG4 files to the interface is also supported. The added files will show as thumbnails at the left panel. Step 3 Edit MPEG4 videos as you like. 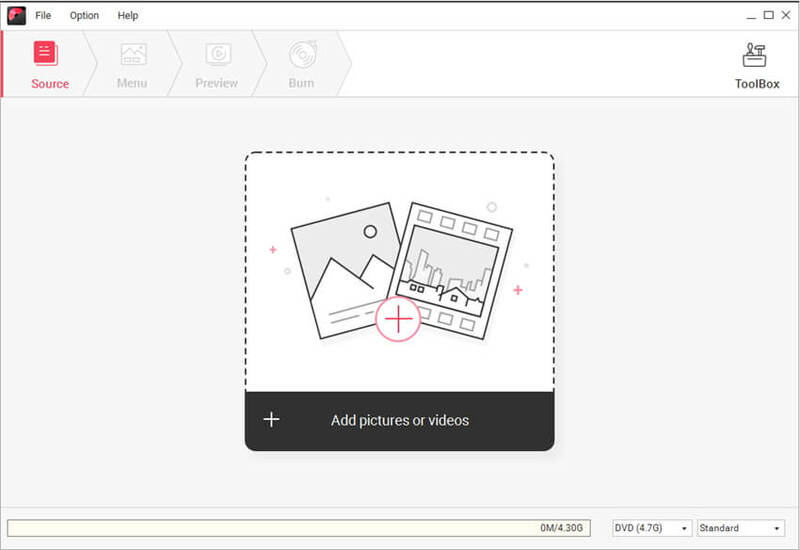 Click the pencil-like icon on the video thumbnail to open the Video Editor window, from where you can crop, trim, rotate videos, apply effects, add subtitle, and make more adjustments on your MPEG4 files. Step 4 Customize MPEG4 DVD menu. Click the Menu tab to make customization on your DVD menu. Choose your favorite design for your MPEG4 DVD menu from 100+ different templates on the right column. For further customization, click the icons upon the active window and you can adjust aspect ratio, change background image or music, create chapters, and others. To check your created MPEG4 DVD, click the Preview tab, and you can still make changes if you're not so satisfied. Next, move to Burn tab and insert a blank disc in to your Windows or Mac PC. Choose Burn to disc option and select Burn Settings such as Disc Label, Burner, TV Standard, Folder Path, and more. Finally, hit the Burn button to start burning MPEG4 videos to DVD. You can also save MPEG4 videos to ISO files or DVD folder as backup if needed. It's so convenient to convert MPEG4 to DVD with this MPEG4 burner, Wondershare DVD Creator. MPEG4 (i.e. MPEG-4) is defined a standard for compressing audio and video digital data. It has many new features including VRML support for 3D rendering, object-oriented composite files, support for externally specified Digital Rights Management and various types of interactivity. Compared with MPEG1 which is used in VCD and MPEG2 used in DVD, MPEG4 is usually used in network. Since it's widely used, you can easily get a great many of video files encoded with MPEG4 standard. And there will be times when you need to convert your MPEG4 files to DVD discs for playback on DVD players, sharing more conveniently, or keeping forever. If so, an easy-to-use MPEG4 to DVD converter is recommended.